When my eyes glance across book shelves, I can’t help that my eyes are drawn to series, and this was how I found myself pulling this book off the shelf. I really liked this book. 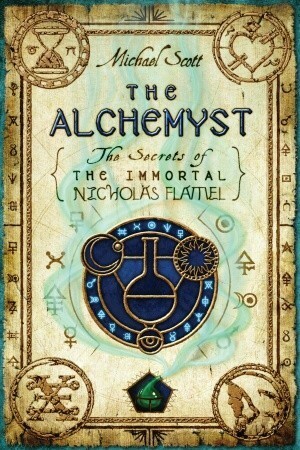 I’ve read books about magic before, but never about magic and alchemy. And I think that this genre is really interesting. Often I jokingly explain things that I can’t understand as “It’s magic!” Since I don’t know a lot of the lore connected with alchemy, I think that the book did a good job with explaining the details. Josh’s inner dialogue kind of annoyed me at times, but otherwise I think it was well told. And I know I would be feeling pretty negative if my twin was the one who was able to be ‘awakened’ or as I like to call it, “superhero-ed up” haah. I think I shall rush to the library and borrow the next few books.